Below is a sample video from the best golf flexiblity DVD’s (there’s two of them) I’ve ever seen. You can’t purchase these DVD’s from anywhere else anymore. But because they are so good I have secured the rights to sell them now. They are from the fitness guru, Bill Hartman. Now before you watch this free sample video I need to explain the background to it and how the 4 step program on these DVD’s is laid out. 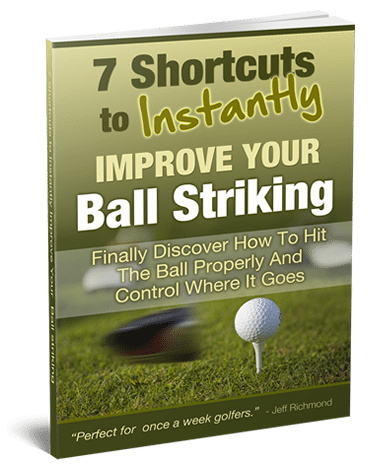 The video sample below is from the first DVD, and the first DVD starts by giving you tests you can do at home so you can see where you are lacking in your golf flexibility. Then after that you’re given the exact flexibility exercises to improve where you are lacking flexiblity. So here is the video sample from this first DVD. Watch it and then come back to find out what the second DVD has for you. This warm-up is made up of a series of general and isolated dynamic movements which helps to train your body to move further while swinging…even when you’re tired. 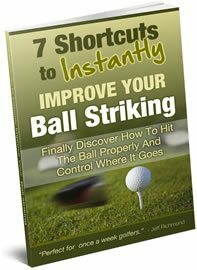 So if you get tired as you’re playing golf, then these exercises will help you to hit the ball powerfully right from the beginning of your round to the end of your round. Then finally in the second DVD you also get…. These flexibility exercises help you to transfer over your new found flexibility directlly to your golf swing. Naturally there are a lot more benefits you’ll receive from this program, but these are the main ones. And because we believe so much that if you follow the exercises on these DVD’s you’ll hit the ball further, we have secured the rights to sell them. These DVD’s were selling for $97 plus shipping and handling. But because we now have the exclusive rights to sell them we can pass the savings onto you and let you have them for just $57 + $7 Postage and Packaging – anywhere in the world! So if you want to hit the ball further then you should get these DVDs right now for just $57 because as you’ll see when you get these DVD’s, it will be one of the best investments you could make to improve your golf game. Look, I don’t need to tell you, you’re not getting any younger. And it’s been scientifically proven that as we age we lose flexibility. And losing flexibility in golf is terrible because you lose distance as you get older. So the time to stop that is now. But don’t wait any longer because the clock is ticking. You now have the chance to reverse the damaging aging process and gain some serious yards. Get these DVDs now and start to follow the exercises and after 30 days you’ll be hitting the ball better – and we guarantee that. Because if you follow the instructions on these DVDs for 30 days and if you’re not swinging easier and hitting the ball further, simply return the DVDs and you’ll get all your money refunded. But please don’t put it off, because every day that you’re not doing the flexibility exercises that are on these DVD’s is another day that you’re potentially losing flexibility that will going to cost you yards on the golf course. So take action now. To hit the ball longer and more powerfully than you potentially ever have, click the button below and order these DVD’s right now!